Bollywood movies and the actors have been portraying romance in the most eminent light where almost all the movies believe in happily-ever-afters but for some, the reality is hard and dark. When someone decides to marry their love interest, they think of their life by each other’s side, promise to keep the fondness alive throughout the life but this promise sometimes proves heavy on a relationship and this heavyweight is not lifted by the two living a married life together. Bollywood is no different, people fall in love, get married, love fades with time and they get divorced. So, here’s list of a few of the Bollywood love marriages which ended up in shocking divorces for their fans. 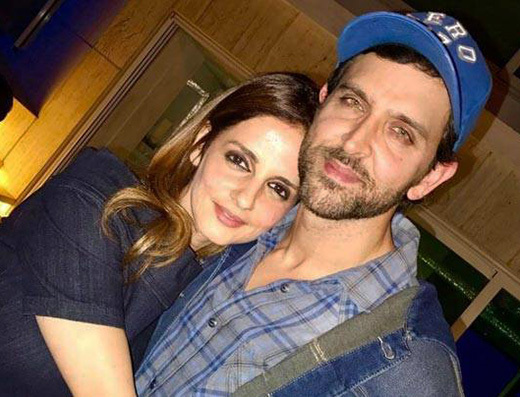 Hrithik Roshan and Sussanne were the picture-perfect couple. Hrithik marrying his childhood crush was no less than a dream come true for him. Though the rumours of them parting ways had been doing the rounds in 2014 but the official announcement came as a shock to the fans and admirers. The divorce was granted to them on 1st November 2014 and the couple has been living apart since then. Both of them headed for the divorce mutually and have decided to take care of their kids in a healthy environment without any manifesting any trouble for them. The multi-talented Rock On actor had also called it quits with his wife Adhuna Bhabani ending their 16-year-old marriage in October 2016. Adhuna is a very renowned celebrity hairstylist who keeps herself away from the limelight. The reason for their split is unknown but it was mutual. Their separation came as an unpleasant surprise and the two requested the media to respect their privacy. The couple has two daughters, Shakya and Akira who are living with their mother now. Kamal Hasan and Sarika were no less than any rebels for the two decided to live-in together in the 80s. They did not only live in together before marriage but also gave birth to two beautiful daughters out of their marriage. It was only after their birth that the couple decided to get married but only to get divorced after good 16 years. The much in love divorcing wasn’t something the fans were expecting at all. Ending their 17 years of marriage, the two filed for divorce in 2016. Theirs seemed like a strong marriage and they also hosted a show together just before they filed for it which is why the news at first assumed to be mere rumours but it was the harsh truth. Various reasons of their divorce surfaced but none have been confirmed by the couple. The two share a cordial relationship even after parting ways and are often pictured together in parties etc. Chitrangada Singh can make any man go weak in his knees. She hasn’t had a very illustrious career in Bollywood but has always been critically appreciated. She got married before her entry in Bollywood and always looked deeply in love with her husband. 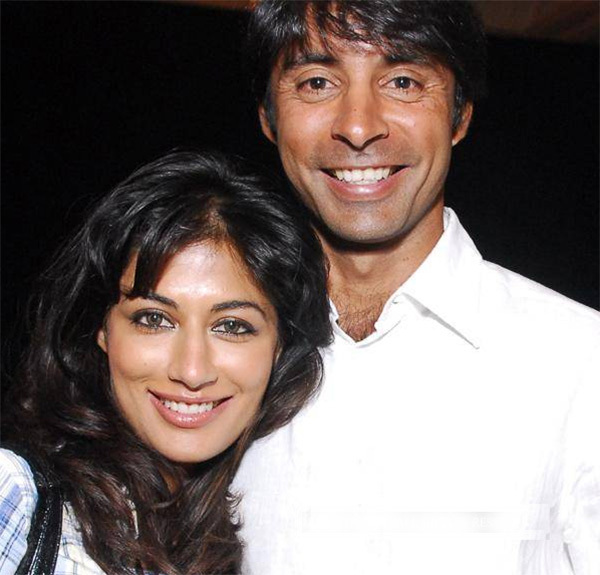 Jyoti Randhawa, popular Indian golfer and Chitrangada, both shy away from the limelight but officially confirmed their divorce rumours in 2013. Their marital discords lead to their divorce but the two love their son, Zorawar and he is their priority. Their teenage son lives with his mother now. 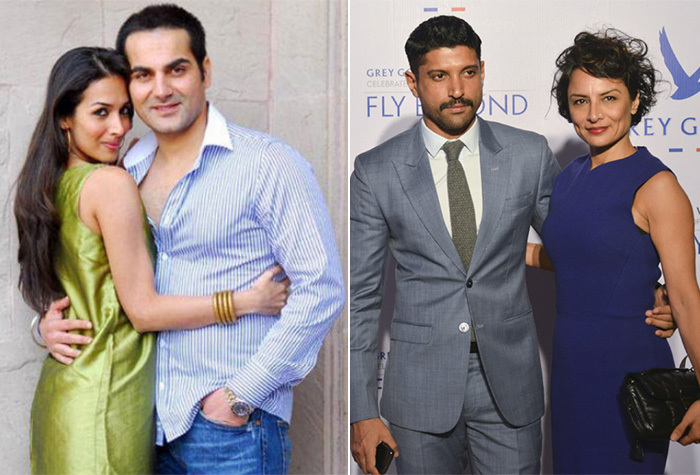 Though these couples parted ways, we hope it is for their own good and they don’t regret their decision.